Like you, I adore and admire the New Years’ resolutions that fill my social media newsfeed every January. Please, tell me more about the Whole30 diet you are doing. Yes, I want to see your feet photos from the treadmill. Smart friends, what books you will be reading while I watch the latest incarnation of the Housewives franchise? I kid, of course. Resolutions do have their place. There’s something hopeful about them, even when done with tongue in cheek. Something unavoidable. And Lord knows we can use all the cheerleaders we can get, virtual or no. You, YES YOU, can fix your relationship with Jesus this year! This will be the year you commit yourself to Christ! Make your New Years’ resolution Jesus! Even if this revolutionary resolution does return you to church for a time, such a project lives in the land of our own self-righteous salvation. YOU made Christ the goal this year and YOU accomplished him! To be honest, in almost 10 years of ministry alongside my husband, I have never met someone who came back to church because they made a New Year’s resolution. Occasionally people come back for the sake of their children. But those that stick around come back to church because life has beaten them up and as a result, they have a desperate need for grace and consolation. Incidentally, those are the same experiences that keep them there. Not because someone has challenged them to a churchy New Year. Besides, making a New Years resolution about rededicating your life to Christ sounds like a lovely recipe for feeling like you’ve failed Jesus again. And that is most definitely not going to help you “feel closer.” God doggedly pursues us. We halfheartedly (at best) pursue Him. Until we accept the fact that we cannot stay away from the forbidden tree of Genesis. Or that we cannot follow the law that God wrote on our hearts. Until we look in the scriptures and see our own human failings in those people God so loved, then we will remain lost in our own resolve. It breaks my heart that churches would tell people it is on them to find Jesus in 2016, when Jesus has so obviously found us already. God isn’t interested in us resolving to (re-)commit ourselves to Him. God is just interested in us. We bring 100% of nothing to the party, no matter what those New Year, New You sermons might tell us. I remember my own coming-back-to-church story. I had been through a painful breakup with my college boyfriend. Church going had been one of our “issues” and so I had not attended in over a year. I was nervous to be back in my childhood church again. I felt ashamed that I had been away and expected someone to point that out to me. This was the moment for the real church goers to remind me that I had failed. Where had I been? Hadn’t I dedicated my life to Jesus? Hands down, the most powerful piece of scripture about a return to God is the story of the Prodigal Son. And it is worth a closer look in the season of alleged self-dedication. The wayward and wasteful younger son decides to head home to his Father. But he doesn’t return for valiant or admirable reasons. No, the son doesn’t return home out of love or duty. He goes home because he is hungry and knows that his Father will feed him. 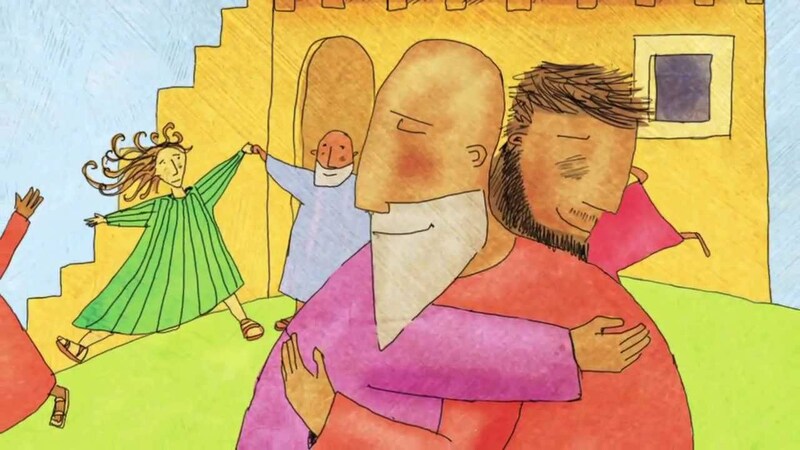 But the really insane part of the story is that just before the son’s grand moment of rededication, the Father stops him with a running embrace. The son’s reasons for returning, level of commitment, and righteous penitence are all irrelevant to the Father. It is only his return that matters. “As he starts for home though, he begins to worry. Dad won’t love me anymore. I’ve been too bad. He won’t want me for his son anymore. So he practices his I’m-Sorry-Speech. All this time what he doesn’t know is that, day after day, his dad has been standing on his porch, straining his eyes, looking into the distance, waiting for his son to come home. He just can’t stop loving him. He longs for the sound of his boy’s voice. He can’t be happy until he gets him back. The son is still a long way off, but his dad sees him coming. No. That’s not how this story goes. The dad leaps off the porch, races down the hill, through the gap in the hedge, up the road. Before his son can even begin his I’m-Sorry-Speech, his dad runs to him, throws his arms around him, and can’t stop kissing him. We don’t come back to church armed with prayer journals and a superhero cape. Not in any kind of a lasting way. Instead, we tend to approach the doors of a church with neediness and trepidation and all sorts of mixed motives. In this New Year, I pray that our churches will remember and remind us that a commitment has already been made. God committed to us long ago in the person of Christ Jesus. No resolutions needed. Only an embrace, a kiss, and a joyful welcome home. Oh that our churches will treat those returning as yours did! What a wonderful and moving post. I agree with Pam: I wish that churches would treat those returning from ‘far off’ like yours did, Sarah. Hey Sarah, really great blog post. Thank you for pushing us always in the direction of God’s prodigal grace despite our best and worst efforts. I have to ask though, in your personal story and illustration you shared: isn’t “keep coming back” and “one foot in front of the other” a resolution (or sorts at least)? I’m asking only because I struggle with what is the appropriate place for a response to God’s prodigal grace despite my efforts, and yet, Christ calls me to respond to Him with, “come”, “hear”, “forgive”, “teach”, “serve”, and even “make disiciples” – all of which take effort to cultivate, and seemingly, require some level of resolution. Can you help me by speaking into the place these imperatives (do) have to the gospel indicatives (done)?